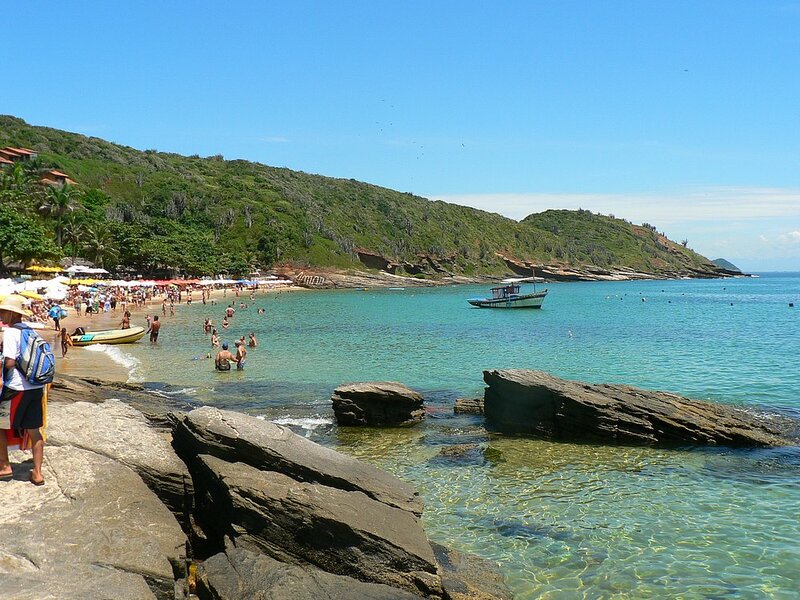 Only 120 miles to the north of Rio de Janeiro, Brazil, there is a small peninsula, known as Armacao dos Buzios. 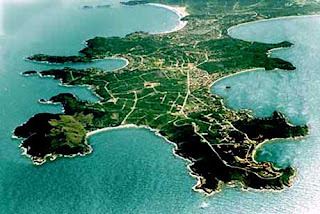 With only eight kilometers long, the coastline is dotted charming and sunny throughout the year. Along the stretch of coastline, you will also find many restaurants, cafes, and bars. The diversity of options in Buzios offers a perfect place for a holiday in the sun with a fun outdoor activities. While in the city center you will find the narrow stone streets with many restaurants unique architecture, cafes, bars, and boutiques. All that combined with tropical vegetation, green hills, and of course, white sandy beaches. Although the main attraction is the water sports and beaches, Buzios is also an ideal place for those who love the culinary tour. Here, there is a taste of France, Italy, Morocco, and Thailand. Even so, fish and seafood remains a local favorite because of Buzios has been known as a small fishing community. You can try the popular Brazilian food "Buffet by the Kilo" Boom restaurant. Or been to Chez Michou to try a variety of sweet and savory crepes that can be enjoyed anytime. For dinner, be sure to visit Havana Patio entertainment company for great food while looking at an ocean view. Or maybe want to try the pastrami Argentina, you can get in Don Juan. To pass a quiet night, you can stay at Chez Wadi, where the owner was gay. Located just 100 meters from the beach Manguinhos, Chez Wadi offers ten rooms are air conditioned with facilities of tropical gardens, pool and common areas artistically. This is a great place to relax, but still close to many tourist attractions in Buzios. Back to the beach to enjoy the water sports activities, you can try snorkeling, surfing, windsurfing, kayaking, sailing, and fishing. Depends on you, which one to do first. Or just want to relax on the beach, it's also a good choice. Not complete without a visit to Buzios sailed into the Atlantic Ocean combined with visits to secluded beaches with beautiful scenery and pure. You can rent a variety of services at the beach. Traveling in Buzios is a new favorite in South America very easily on foot or by taxi. You can also rent bicycles to explore more. many beaches with lush tropical landscape. However, make sure you have a good map and a navigator because the road narrow and winding.